The ‘Triangle weave lesson 3′ is the 3d part of my Triangle weave lessons. 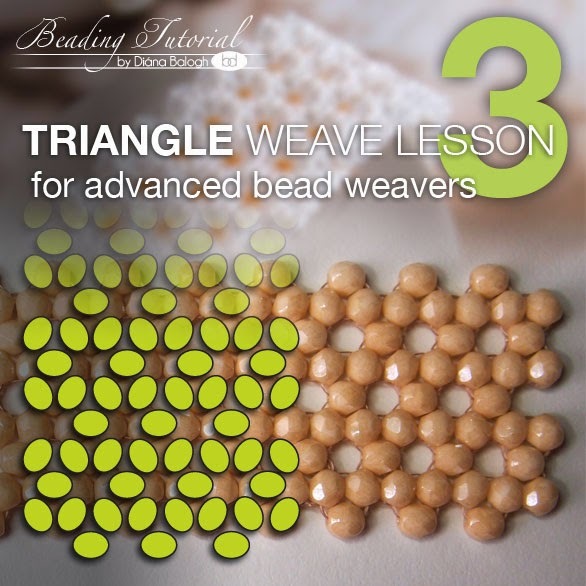 You can learn from my ‘Triangle weave lesson 3′ how you can make a multiline triangle weave net. The beading lesson is very detailed. Step by step with illustrations, phase photos and explanations of each step. Beadwork lesson for advanced bead weavers. If you finished this lesson, you can accomplish my HEXA bracelet tutorial, which is really a 3 dimensional creation, with a lot of seed beads. Thanks to it’s special structure the HEXA looks like a lace ribbon.